For many companies, selecting an ERP system is the most expensive—and risky— IT decision they’ll make. 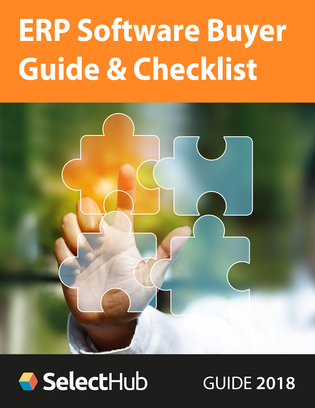 In this buyer’s guide from SelectHub, gain expert insight into the world of ERP, and get started on selecting your dream ERP solution by following their step-by-step guide. Choosing the right ERP software doesn’t have to be stressful. Download this buyer’s guide and learn how to choose the perfect ERP for you.